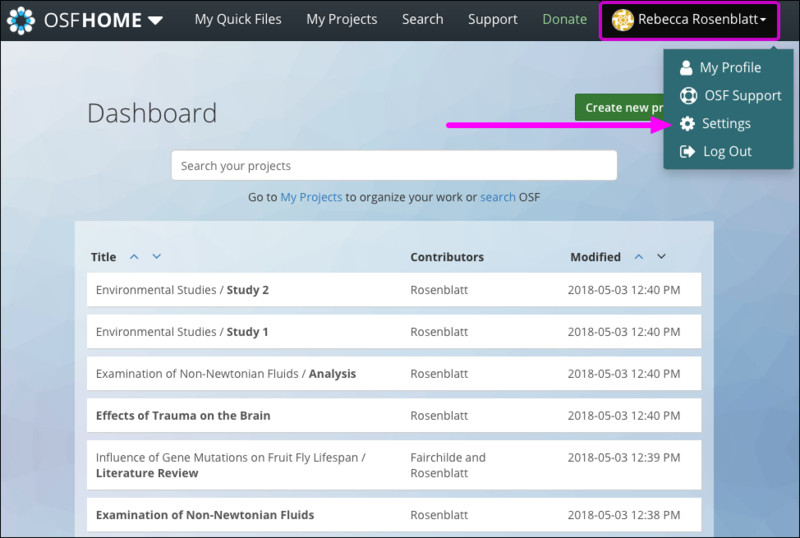 If you have two OSF accounts, you can merge them into one account. 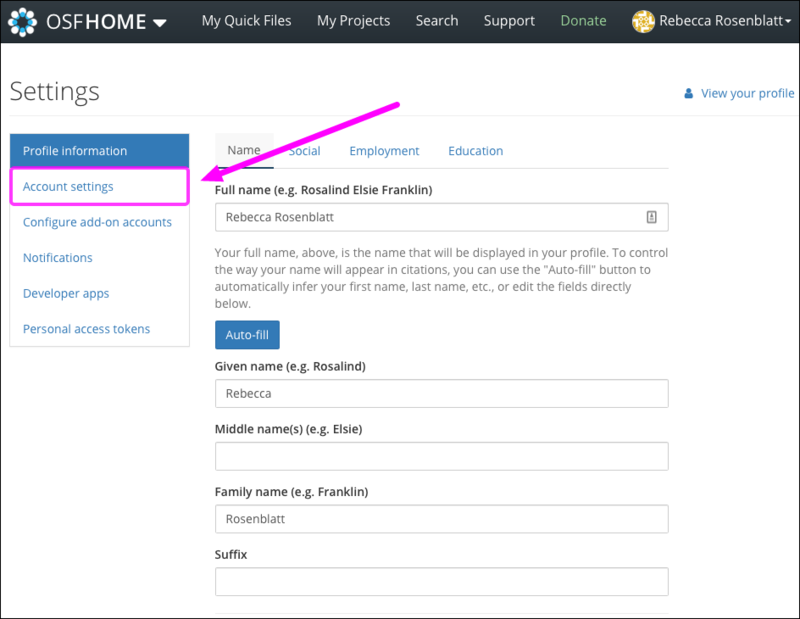 Or, if you want to add additional email addresses to your OSF account, you can add alternate email addresses that you can use to sign in to the OSF. 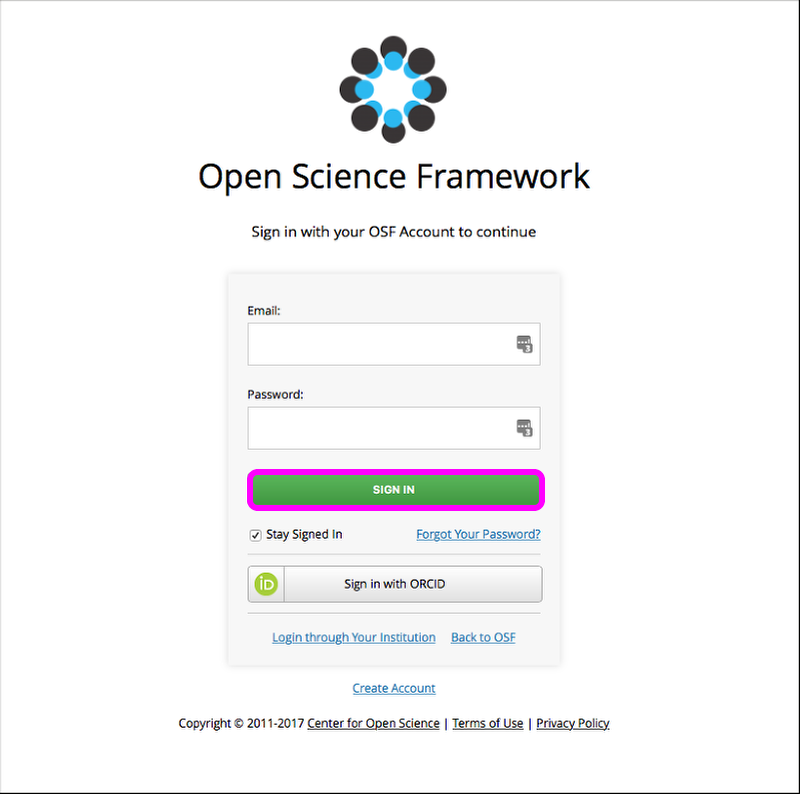 First, sign in to the OSF with the email address and password that are associated with your main OSF account. Then, click your name in the top right of the page, and click Settings from the drop-down menu. Your "Settings" page will appear. Click Account settings from the sidebar menu. Your "Account settings" page will appear. 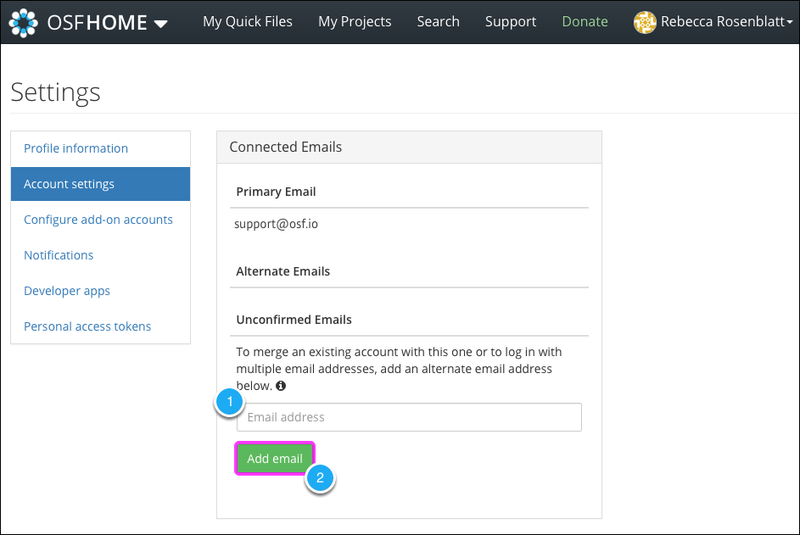 If you have two OSF accounts, enter the email address that is associated with your second OSF account (the account that you want to merge into your main account) into the textbox below the "Unconfirmed Emails" section. Then, click the Add email button. You will receive an email from the OSF at the email address you entered above. Sign in to this email account. Then, click the link in the email to verify your email address. You will be taken to a page where you can sign in to the OSF. When you sign in to the OSF, enter your primary email address that is associated with your main OSF account (not the alternate email address that you're adding to or merging with your OSF account). 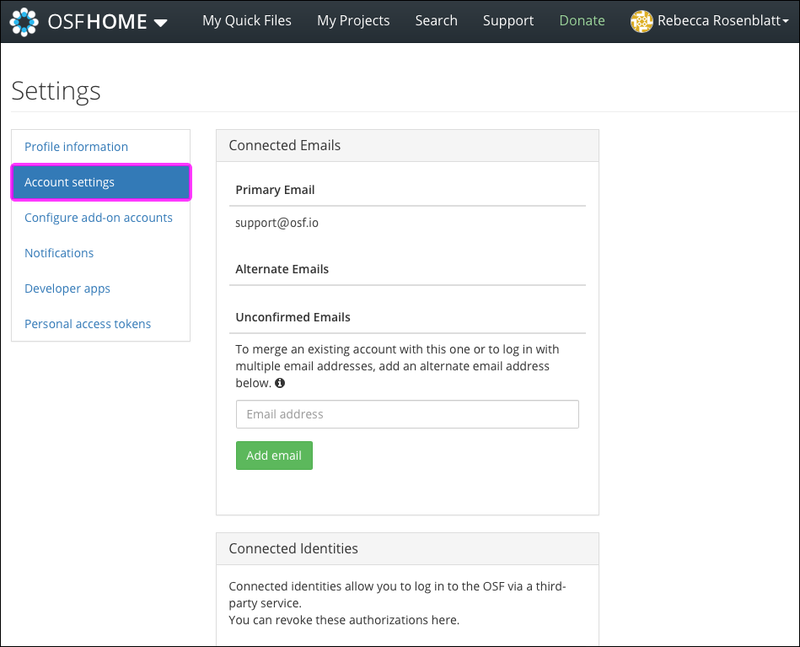 After you sign in to the OSF, a modal will appear in which you will need to confirm that you want to add the alternate email address to your OSF account. Click the Add email button. 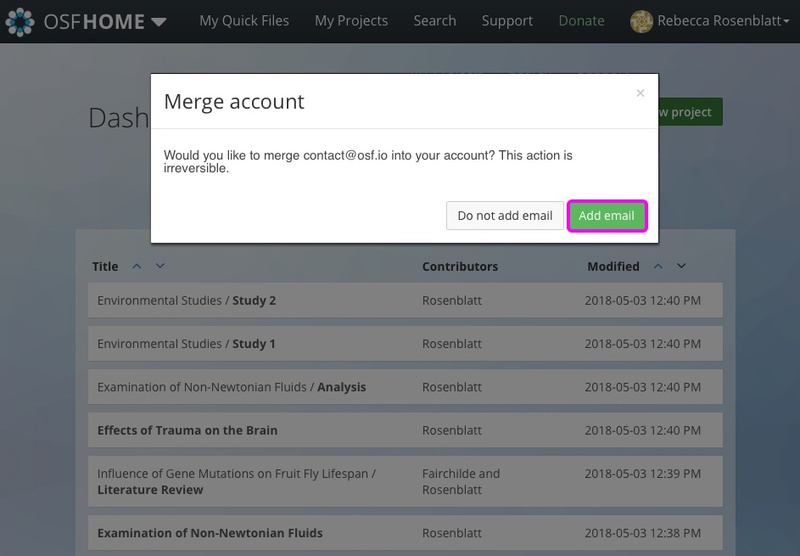 The modal will close and your second OSF account will be merged into your primary OSF account.